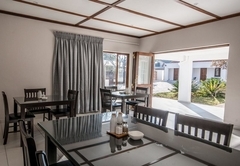 The Royal Guest House Klerksdorp is one of the highly recommended Klerksdorp guest houses and provides accommodation in 5 guest rooms for tourists visiting the Southern Region. 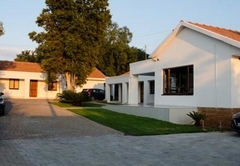 The Royal Guest House offers comfortable accommodation in Klerksdorp. 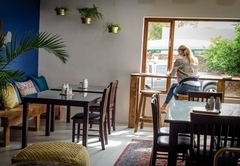 This peaceful area is great for a tranquil getaway and is also near to a number of things to do including the Faan Meintjies Nature Reserve, Klerksdorp Museum, the golf course and the Barberspan Bird Sanctuary. 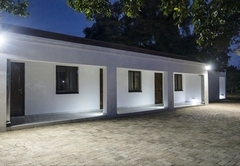 Rooms are offered on a bed only basis and are all equipped with air conditioning, a fridge, microwave, DStv and Wi-Fi. These rooms sleeps two guests each and have a Queen-size bed and an en-suite bathroom with a shower and a bath. These rooms sleep one guest each and have a double bed and an en-suite bathroom with a shower. Queen size bed, en-suite with shower and bath, air-con, fridge, microwave, DSTV, Wi-Fi. Double bed. En-suite with shower, air-con, fridge, microwave, DSTV, Wi-Fi. I would firstly like to comment on the hospitality of Troy and Laudi. They welcomed us with such open arms! We got room no1 and my word, not only was it spacious and clean, but I loved the décor and overall tidiness of the room. We stayed for 3 days and 2 nights, of which we spent most of the hours in the warm bed. 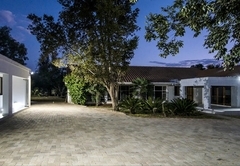 The Royal Guest House is a wonderful place to go and relax with your spouse and/or your family. Not only does it give you the home away from home vibe, it has a local mall for your convenience. Please if you're ever looking for a place to stay in Klerksdorp, pay the Royal Guest House a visit. The rates are reasonable and you will never doubt going there. Thank you Troy and Laudi for the amazing experience. We will definitely be coming to stay over again. 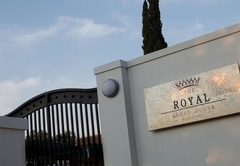 Response timeThe Royal Guest House Klerksdorp typically responds to requests in 5-10 minutes.